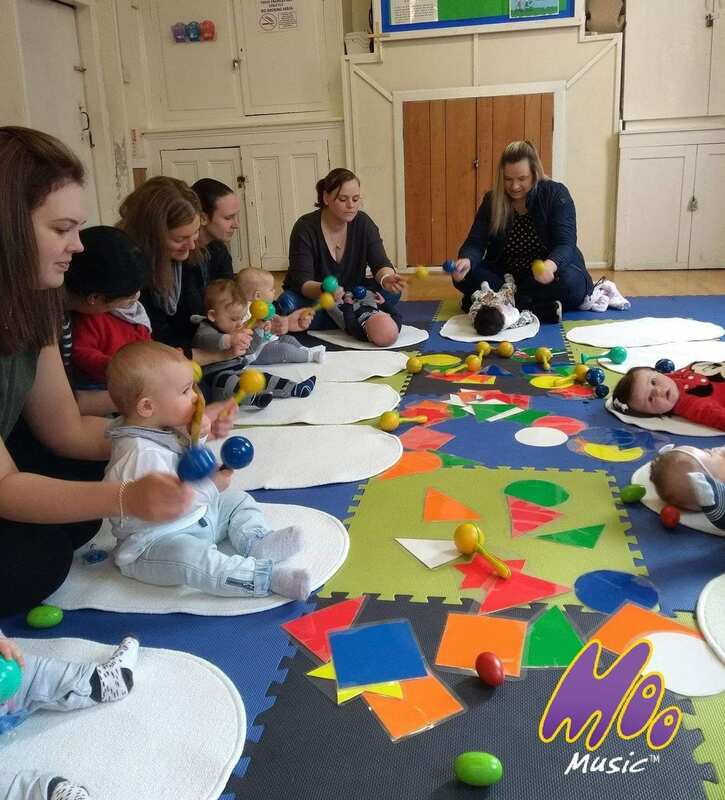 A new, modern pre-school music franchise; Moo Music runs exciting, fun, friendly and interactive music sessions in Sheldon, and provides sessions for nurseries and residential homes throughout the area. No more nursery rhymes! At Moo we use out own brilliant fun, professionally-written music, brought to life with props, actions, games and role-play! Our carefully planned, cleverly presented sessions are fun and educational, and help children gain confidence, memory, cognitive and social skills. But more than that, it helps carers bond and have fun with their kids in a relaxed environment where moosical silliness is what we do best! Moo is nothing like any other music group you’ve tried. And sessions can be tailored for ages 0-8! Moo Music Sheldon, Hall Green, Acocks Green and Yardley is run by Cath Clerk. Cath is a fun, friendly mum who discovered Moo Music with her daughter Iona, and is passionate about what Moo can bring to kids and parents alike. She can’t sing or dance, but if moosical silliness sounds like fun, she’s sure to bring a smile to your face! Regular sessions are Mondays at St Giles Church Hall, Sheldon, plus monthly Saturdays at Sheldon Country Park and inter-generational sessions at Heartlands Residential Home.